Astronaut Studio, a brand agency in South Dakota, sent out “Dark Matter”, a custom blend of small-batch roasted coffee with original package design developed as a 2011 holiday gift for clients, partners and vendors. 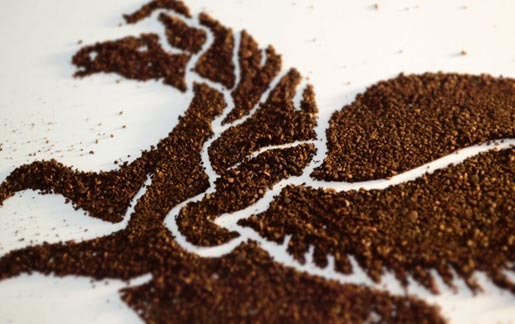 The image of the winged horse, inspired by the Pegasus constellation, was formed with actual coffee grounds. The concept and design is a deliberate play on the agency’s astronomical brand identity. 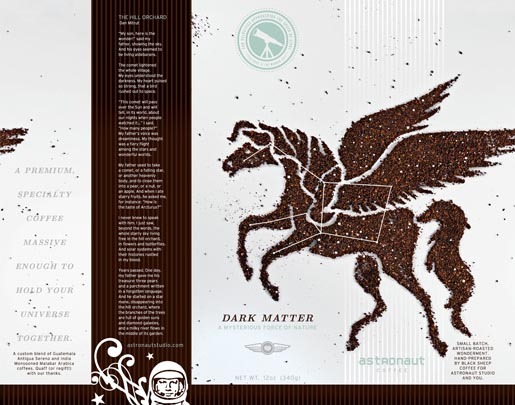 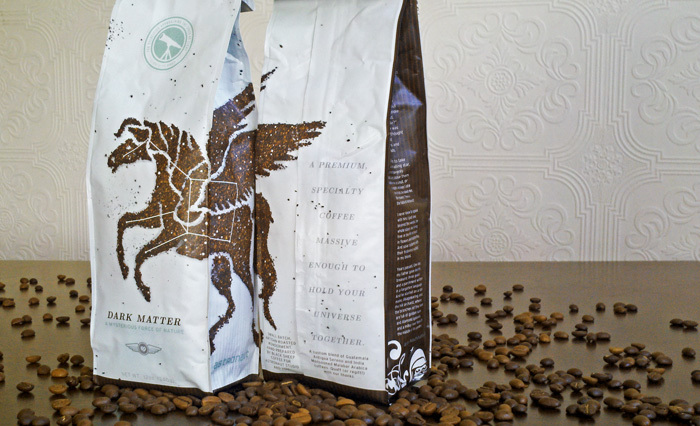 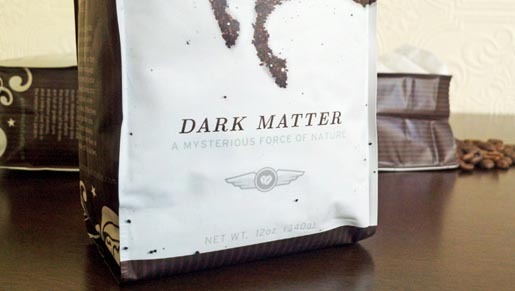 The Dark Matter Coffee packaging was designed at Astronaut Studio, Sioux Falls, South Dakota, by creative director/copywriter Greg Veerman, art director Andrew Brynjulson and executive producer Wendy Johnson.